Can a DIYer Fix a Broken Furnace? You can try, but you shouldn’t. No matter how much faith you have in your abilities, tinkering with your broken heating equipment is more trouble than it’s worth, and you’ll be needlessly putting yourself at risk of electrocution. Besides, you need a complete arsenal of specialized tools to safely disassemble your furnace. Also, you can’t become as proficient as a professional technician merely by watching YouTube videos. A furnace is a complex machine that can be difficult to understand, and botching the job will only make matters worse. Do All Furnace Problems Require Professional Attention? Not all malfunctioning furnaces are actually broken; some are just acting up because the thermostat setting is incorrect, there’s no power supply or the filter is dirty. Performing basic troubleshooting can make your unit blow warm air again in no time. As long as you know which lines you shouldn’t cross, troubleshooting can be done without harm to yourself or the unit. Does Preventive Maintenance Eliminate Furnace Issues? Furnace problems can happen no matter what you do, but regular inspections and tune-ups will help reduce the likelihood of failure. If your unit breaks down despite adopting preventive maintenance measures, calling in a professional for an emergency repair should fix the problem right away. 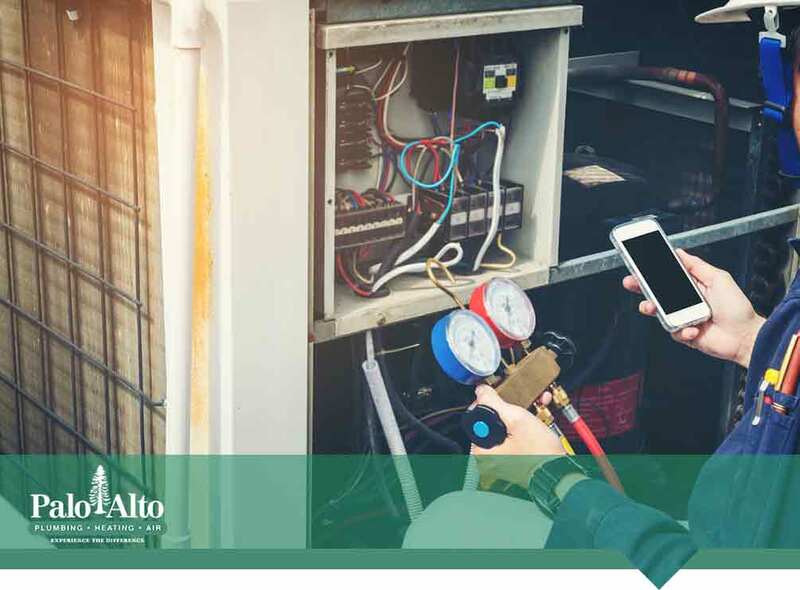 When it comes to heating repair projects, Palo Alto Plumbing, Heating and Air is the name you can trust. Our wealth of experience separates us from the rest, earning the respect and confidence of our neighbors in the region. Call us at (650) 856-3400 or fill out this form to get excellent assistance for all of your furnace needs.